Have you ever seen motocross bikers burst through the sky to the tune of a raw drum and bass violin mashup? To her friends and family, Kytami is known offstage as Kyla LeBlanc. She began her musical journey at the age of 3 studying violin at the Vancouver Music Academy. 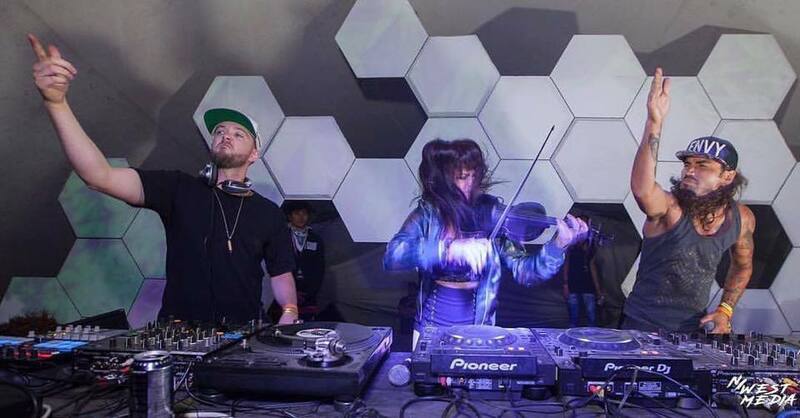 Before Kytami grew into her signature dubstep violin sound, she performed in all sorts of musical capacities. Before her venture into electronic music, Kyla performed in the metal band Goatsblood. She’s graced stages at Shambhala, Electric Love Music Festival and Motion Notion and a film premiere for Amplify Her. DOPE HAUS editor Chanel Klein caught up with Kytami during her busy festival season after her debut at Electric Love Music Festival 2017. DOPE HAUS: You’ve been training to play violin since age 3, is that correct? Kytami: Yes, I was three. I went to the Vancouver Academy of Music and I did classical. I played in orchestras, chamber groups, studied music theory history. It was pretty intense. When I was 17 I didn’t know which direction I wanted to take it so I stopped playing for a while. DOPE HAUS: Is that how you got started with your unique sound? Kytami: Yeah, at the time I didn’t hear of anyone doing anything like it. I didn’t know if it could be done, really. I started experimenting working with different people, playing in different bands, just trying everything as long as I was feeling it. I wanted to try and see what boundaries I could push. DOPE HAUS: What’s the most striking thing people have said about your style of music? Kytami: I’m still surprised because classical music is so like, you’re never good enough. That took a long time for me to get over that I’m just not a very good violinist. It took me a while to relax, even to this day I still have a little bit of that that I can’t let go. But that helps me push and make myself better. But like today [at Electric Love], when people were wandering around and saying that the set was super sick – that still surprises me and I’m super grateful for it. Sounds cheesy but it’s true. DOPE HAUS: Let’s rewind. You’re ten years old again. Does 10 year old Kyla think she’d be where she is today? Kytami: Oh my — no. Not at all, I was a little bookworm. I was getting on stages from the get go, so that’s not a strange place for me to be but I was pretty quiet. If anything, I thought classical music [would be my future]. I was raised pretty conservatively, so no. I never dreamed this. Maybe I thought I would do music professionally in some way. I remember the day I got my first violin. It was so exciting, I loved it so much. All the parts to it, the bow and the rosin. I thought the instrument was so interesting, the way it’s built, it’s ancient and beautiful. It was also a “geeky” instrument, I didn’t let my friends at school know too much about how much I was practising or anything like that. 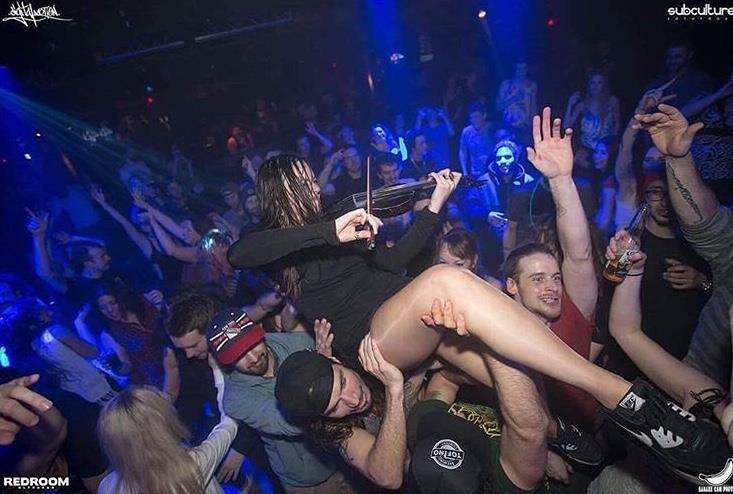 DOPE HAUS: Tell me about the moment you got your first violin. Kytami: I think I was at the music academy, it’s a big day because you graduate from getting a box and a stick to a real instrument. You spend a long time learning how to hold it and how to tap out rhythms. You’re taking me way back! DOPE HAUS: What’s the most surprising thing we don’t know about Kytami? Kytami: When I was 8, I got really nervous on stage and peed my pants. That was horrible. I figured after that, things could never be as bad. That was at the Orpheum in Vancouver. DOPE HAUS: What advice do you have out there for younger girls who are interested in classical music but afraid of being bullied by their peers? Kytami: I say have fun with it and don’t be too hard on yourself. And practice. Keep on practicing! DOPE HAUS: How many hours did you practice growing up? Kytami: I’d get up in the morning and do an hour before school and a hour after school. That was all on top of private lessons and technique classes. DOPE HAUS: You mentioned your conservative upbringing earlier. What does your family think of you performing at these electronic music festivals? 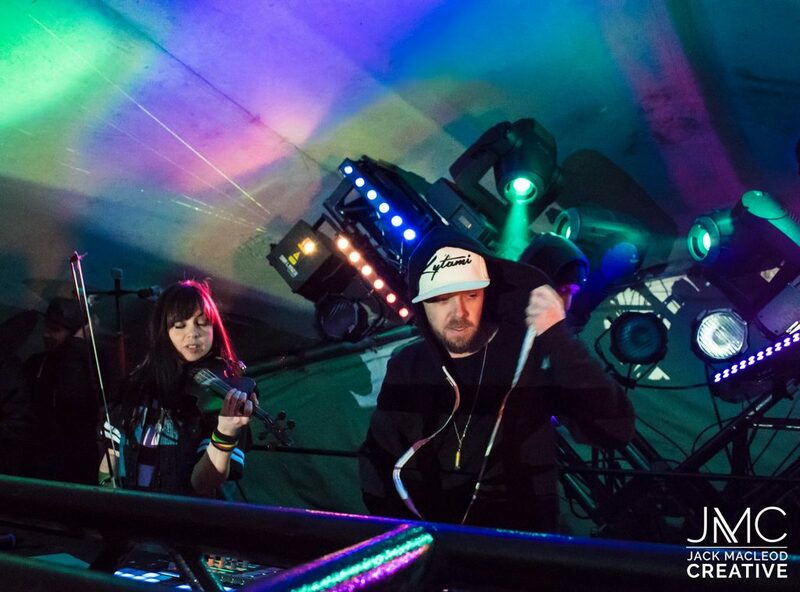 Kytami: They don’t get to come and see what I do too much, but my mum was able to come to a more mainstream festival I played at in Surrey the other day. She brought all her lady friends and they were all right up at the front! I got to shout her out. It’s hard with parents, they obviously worry about your security and the thought of will this all pay off for my future, this and that. But they have been supportive of what I’ve been doing. Even if they don’t “get it” (laughs). DOPE HAUS: You mentioned before the interview you had some surprises come up during the production of your latest Renegade EP off East Van Digital. What did you mean by that? Kytami: It took double the amount of time I thought it was going to take, that was pretty surprising. Phonik Ops, the main producer for the album, we both had to learn how to work with each other. When you get into the studio with an electronic music producer and a live instrument, you have different ways of approaching music and how to jam and push out ideas. He really gets into sound design. Along the way, I think we both learned from each other. I learned a lot about sound design, I sat there every day learning how to tweak the sounds of my violin and he has found ways to jam out and maybe lay some loops out for me to play over and he knows to pretty much always be recording because I’ll play something and it’s hard for me to play it again twice. He’ll be like, “That was awesome, play that again!” and it’s gone (laughs). There was a lot of growing pains and learning how to work with each other but we’re both pretty happy with what came out. It’s 8 tracks but we’re also sitting on 30-40 other song ideas just waiting to go. So it’s not like we’ll be starting from scratch now again. We’re definitely going to continue to put more music out.